Do NOT post IMG files or ISO files in this thread! That would be considered warez and is illegal. Since the topic that was used to talk about GTA:VCS/LCS modding was about the PS2 files, I decided to make this topic. This topic is about both LCS and VCS on both the PSP and PS2. Thanks to Dustin Holden's updated IMG editor, we can now edit LCS and VCS IMG files. Here are some examples. Want to mod the VCS or LCS IMG file for the PSP your self? Here's what you will need. Want a list of main characters? Here it is! 1. Open a clean GTA3PSP.IMG. 2. Extract whatever texture and model you want to replace Victor with. 3. Make sure the texture and model you extracted is less than or equal to the size of texture and model. 5. Right click on texture1.chk in YAIE amd replace it with the texture you extracted and renamed texture1.chk and do the same for the model file. 10. 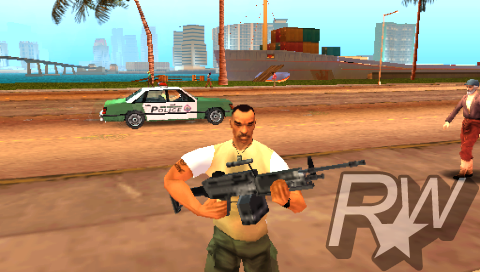 Now find your edited GTA3.IMG and drag and drop it into the RUNDATA folder. 11. In UMDGEN, go up to save and click ISO or CSO. 12. Wait for UMDGEN to finish and then load the ISO or CSO on your psp and see if your mod worked. About the minigun thing, it's not a cutscene minigun, it's used with the main minigun, it's the rotating part of it. They did it the same way in Vice City. Fixed the link Just one thing, how do you know he is the beta version, and not just a cutscene model/texture? I looked at the texture file at it looks like the early screen shots that where released. It is a cut scene texture and model BUT it is NOT the one we see when we is wearing his Army Fatigues, load up a new game and see for your self. According to Microsoft, the .NET framework 2.0 should work on Windows 98.
i hope vettefan is able to let us load the IMG file only because recompiling, then compressing, then copying just takes to long. I found that it directed to the file when the game is actually loaded, changing it to a location on the MS didn't do anything. even when loading new save, or changing islands. I can't seem to find where it's linked to in the actual iso. I know where the file is of coursde, but I jsut can't seem to find what I need. I think I'll have to extract all the files and scan them one at a time for what I'm looking for. if only there was like a master list of all the files of the game somewhere in the iso that could be modified. but I doubt that. it takes me 2-3 minutes to recompile the iso, 3 minutest to compress it (1gb memorystick ),then 3 minutes to copy to my memorystick so a total of 8-9 minutes to get the iso onto my psp then about 3 minutes to test and take pics of the mod and then 7 minutes uploading pic. I just checked it out again, and I don't think it'll be possible to load it from the stick. I haven't had to compress the isos so I don't know whats it's like with the extra time, but I think if everyone jsut adds things one at a time, and jsut keeps building up on one iso they have it won't take long before they have somethign they like. also, for taking pics of different character models, you shouldn't do them one at a time. you should replace all of Vic outfits with models, then jsut change outfits in game to get pics. it'll save you a ton of time. Maybe you can try to make a PRX or something? Sorry for a double post but this is BIG! Remember that Victor with a different shirt texture? I couldn't wait for Dustin to release his texture editor so I loaded up my hex editor and started renaming the textures to match the regular Victor names and it worked! The back is white because I couldn't add the back of his shirt texture so ignore that. Also, for some unknown reason the "USMC" symbol didn't show. It's just left over stuff in the game. Also, the jet was used the the first mission. Hell in LCS, there is audio from GTAIII and in VCS there is audio from GTALCS. not gonna happen. I already changed the file path in-game and it doesn't reload the file. it has to laod at the start of the game. it's only going ot be possible with a backup of the iso. try to get another ms, 1gb sticks are pretty cheap now. but even with 1gb, you'll still need to either rip, or compress the game. ou can get a 4gb stick for like $100 if you really wanted one. I've been satisfied with the space mine has. so it IS possible vette?